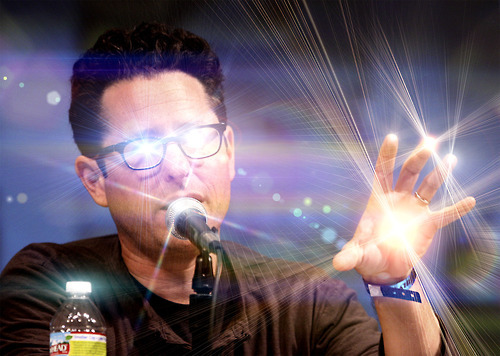 J.J. Abrams, director of the recent Star Trek films and of the upcoming Star Wars reboot, has apologised for his rampant use of lens flare, admitting he has an addiction to them. "I know I get a lot of grief for that," Abrams commented. "But I'll tell you, there are times when I'm working on a shot, I think, 'Oh this would be really cool… with a lens flare.' But I know it's too much, and I apologise. I'm so aware of it now." While it is nice to see him face up to problems with such direction, we hope this doesn't end in a relapse for Star Wars. Actually being able to see the lightsaber fight would be beneficial. "I think admitting you're an addict is the first step towards recovery." We hope so, J.J.